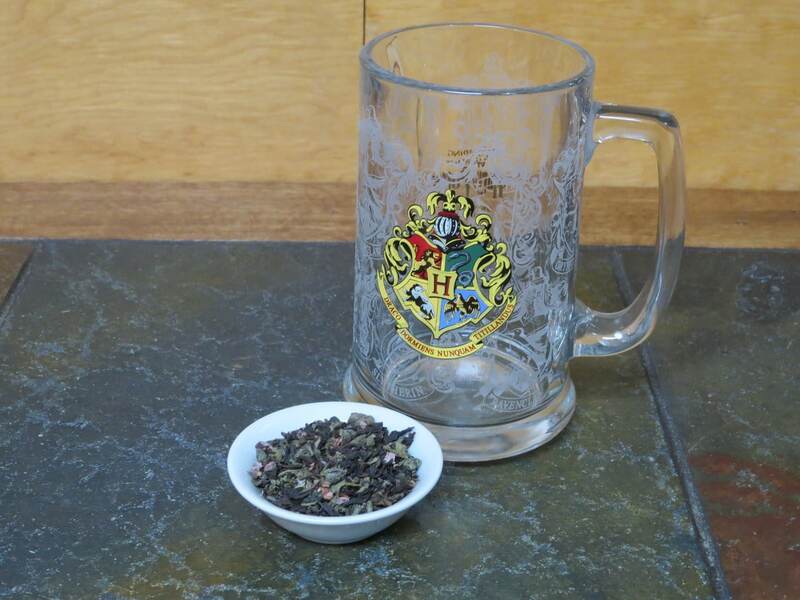 Shortly after creating Beauxbaton’s Blend, we realized we should probably make teas for each of the Hogwarts houses, as well as for Durmstrang. We put the idea into the file, and it sat there for a while. Conversations within the august and patient Tea Naming Group led to some scribbled notes on a mini-legal pad, and said legal pad then got lost in the piles of work that exist around my desk. The Twitterverse concurred with early thoughts – a tea for Slytherin needed to have a darkness to it, some mystery involved. 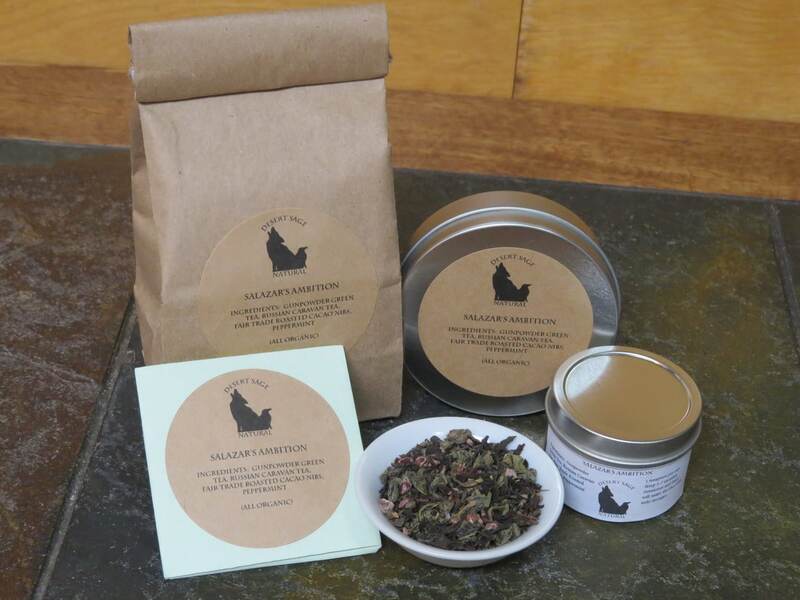 Which brought to mind a tea we’d made a bit back that combined Gunpowder Green Tea and Russian Caravan. That sort of blend seemed a perfect starting point. Smoky, rich, and with the essence of a green tea infusing it as well. From there we decided on cacao nibs and peppermint. The mint, in part, for colour, but the combination of the chocolate and mint with the darker richer teas felt like it would suit. It is not as overtly chocolate mint as our Minty Frog or Dark City Mint, but it wouldn’t be Slytherin appropriate if it was. This entry was posted in Black Tea, Chocolate, Mint, Simply Tasty Teas, Smoky and tagged Chocolate Mint Tea, Chocolate Tea, Cinematic Teas, Desert Sage Natural, Harry Potter, Literary Tea, Mint Tea, Organic Fair Trade Cacao Nibs, Organic Gunpowder Green Tea, Organic Peppermint, Organic Russian Caravan Tea, Organic Smoky Tea, Potterverse, Potterverse Tea, Slytherin House by DesertSage. Bookmark the permalink.